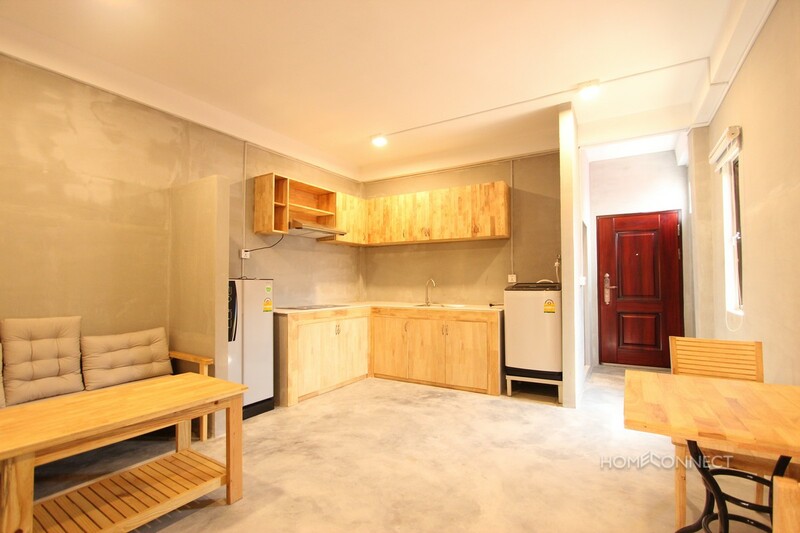 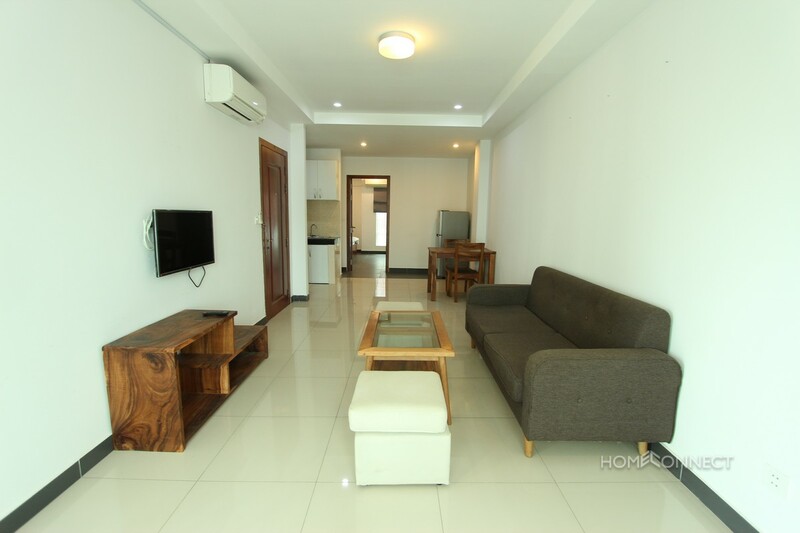 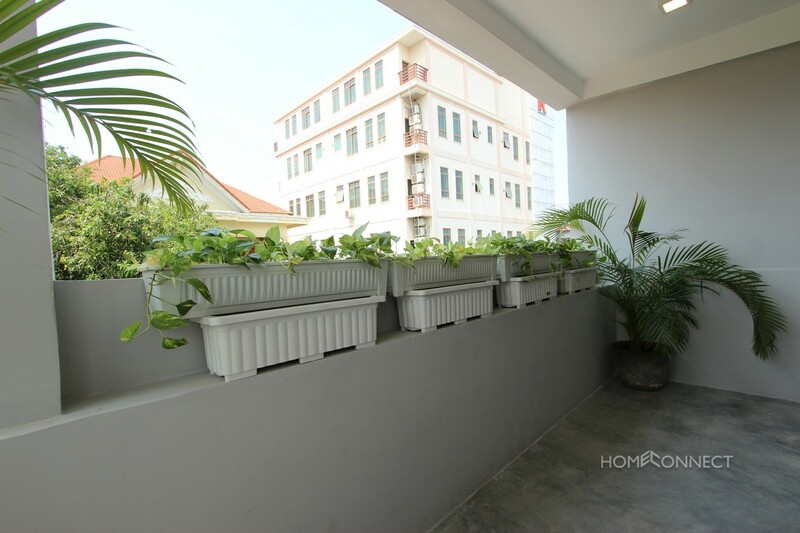 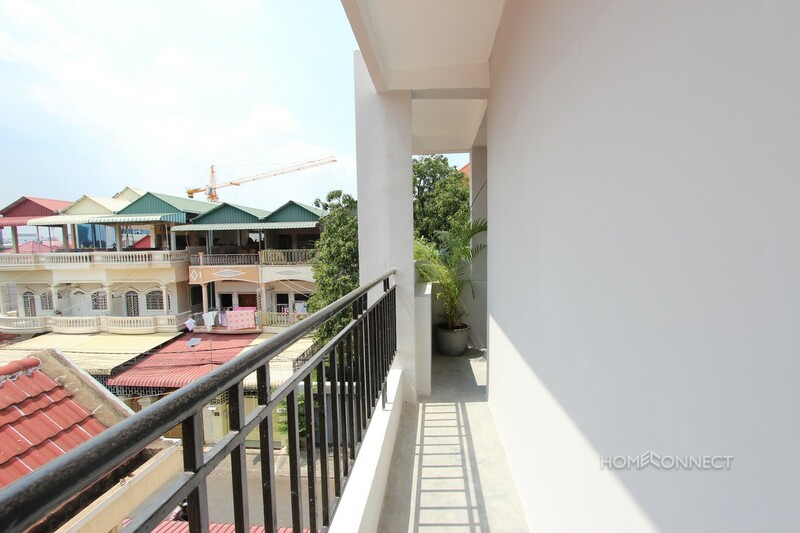 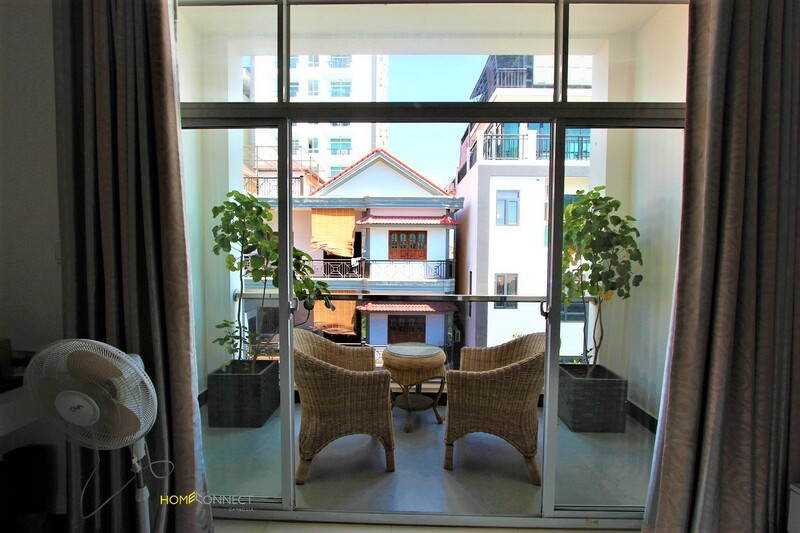 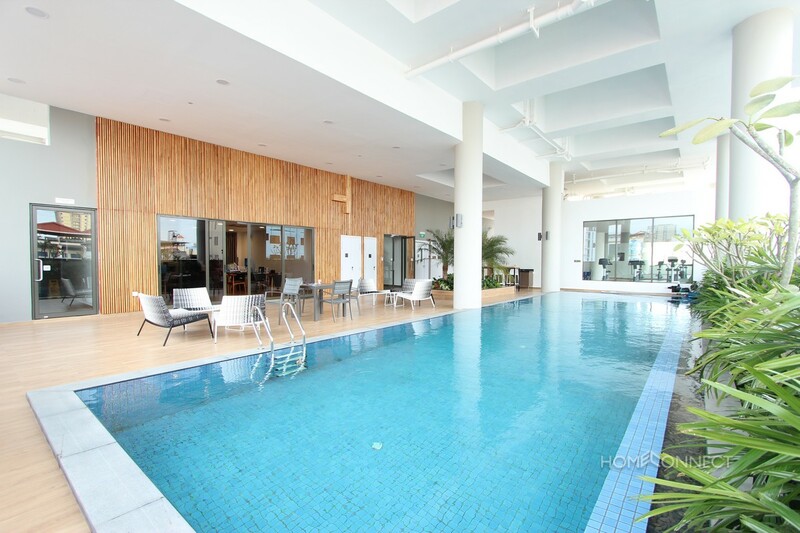 This stylish western style one bedroom apartment for rent is located the ever popular BKK3 area in the centre of Phnom Penh. 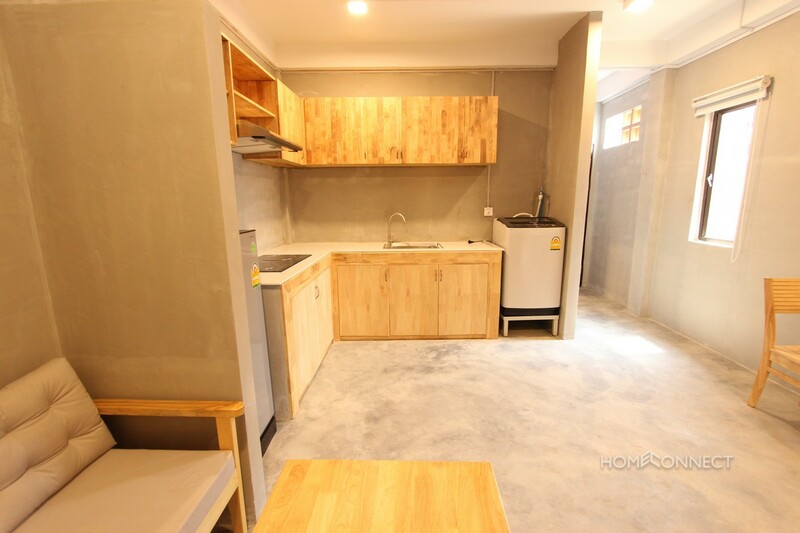 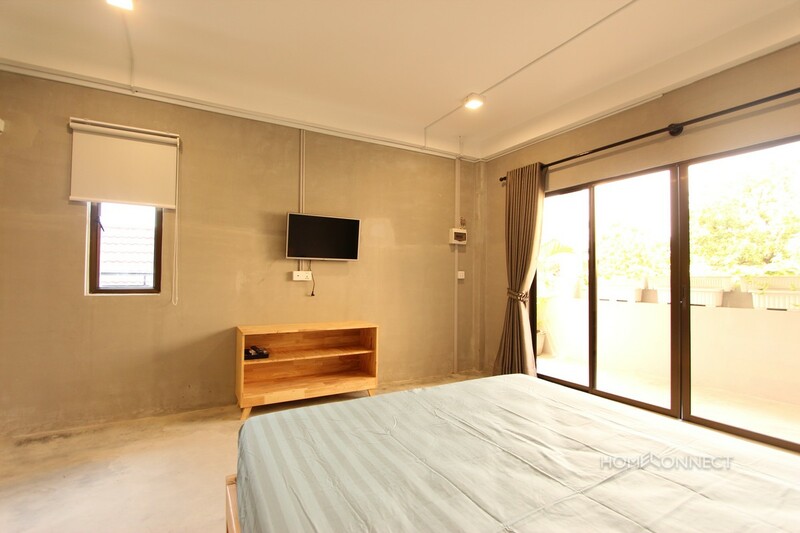 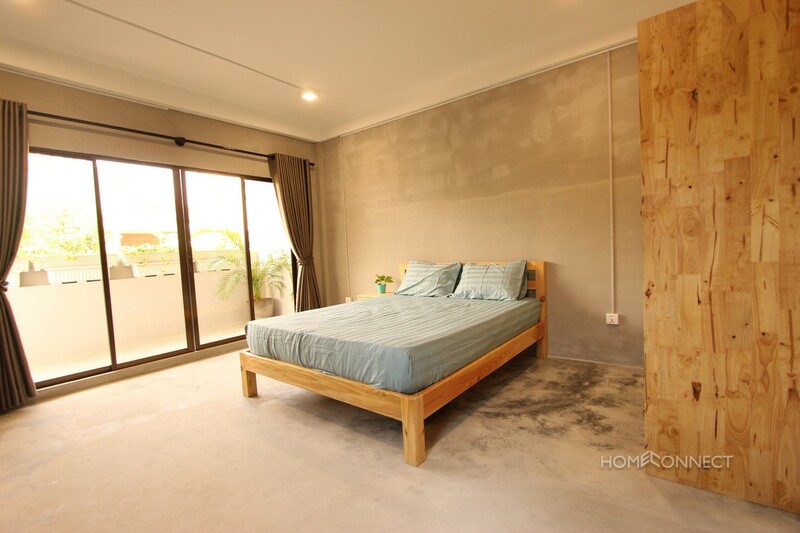 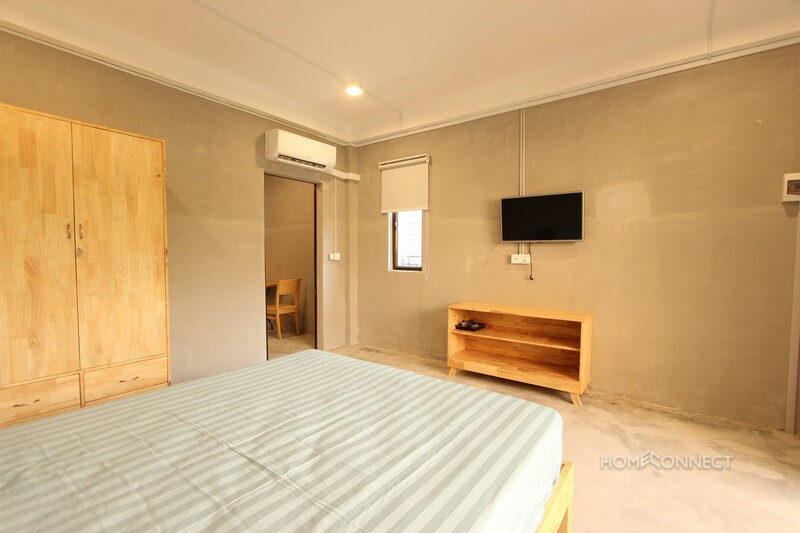 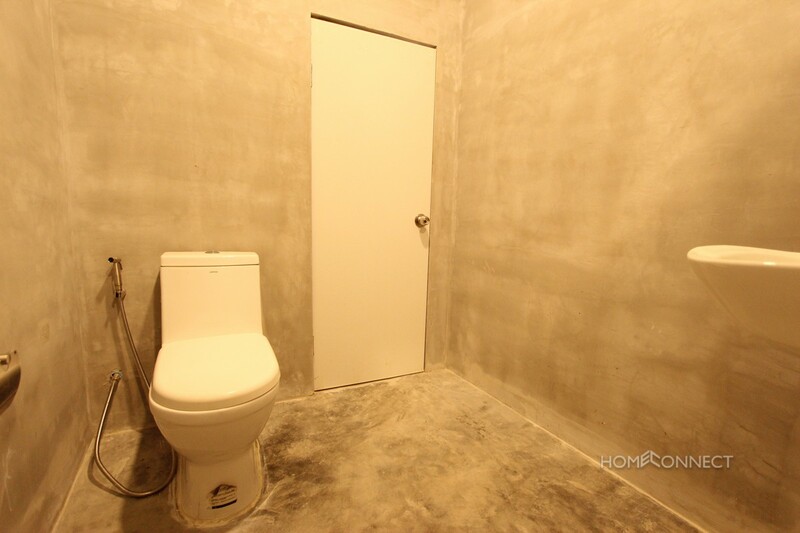 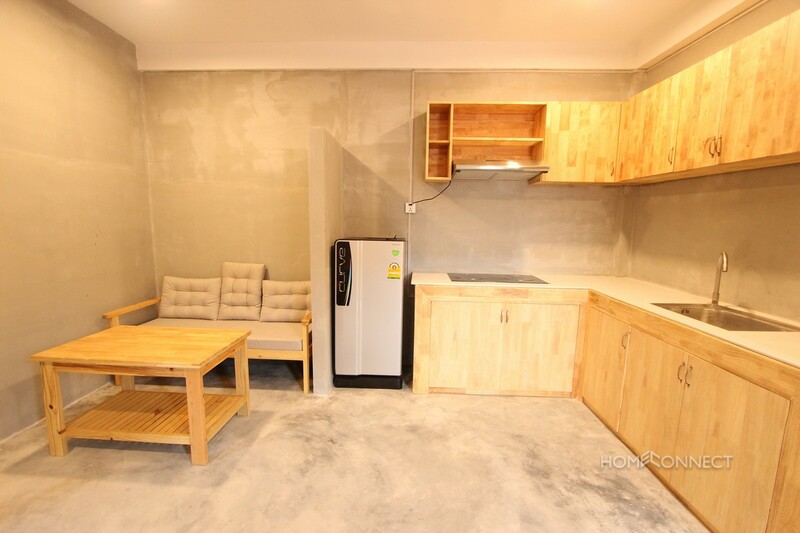 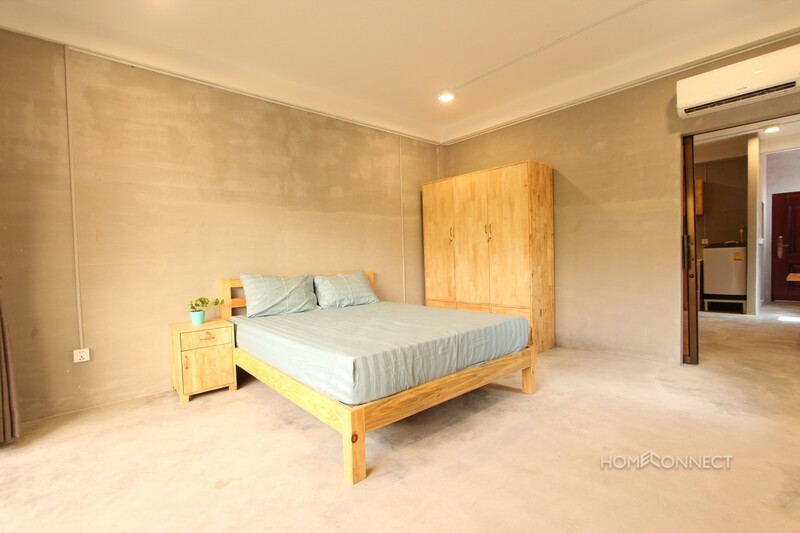 The apartment comes with a good sized bedroom and western syle bathroom and a bright living and dining area. 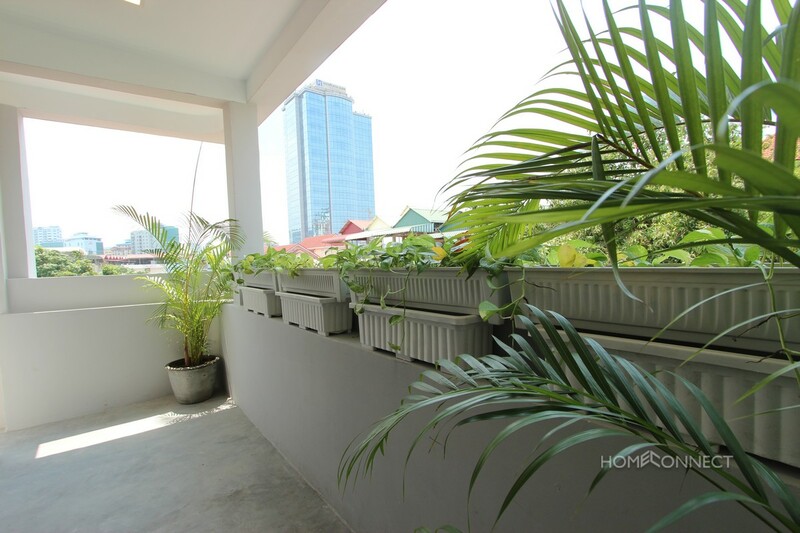 The building comes with parking for motos on the ground floor and is within walking distance of many local amenities. 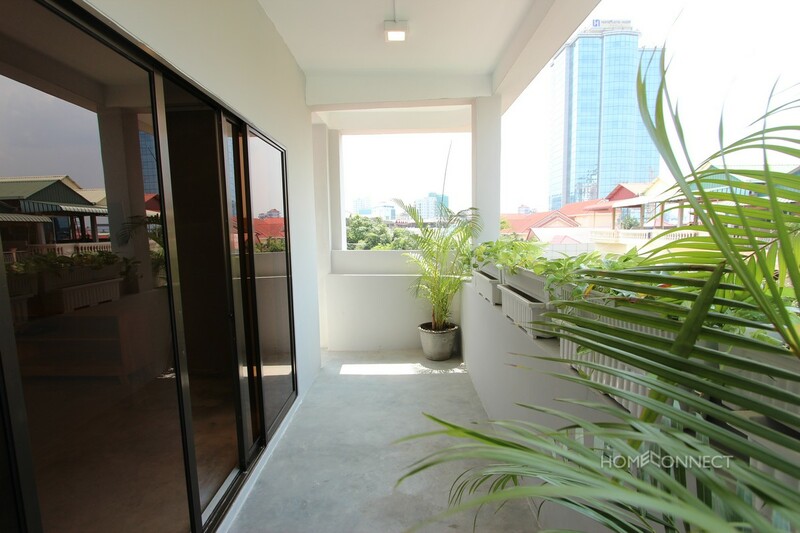 The unit also comes with a good sized private balcony capable of housing a small table and chairs.